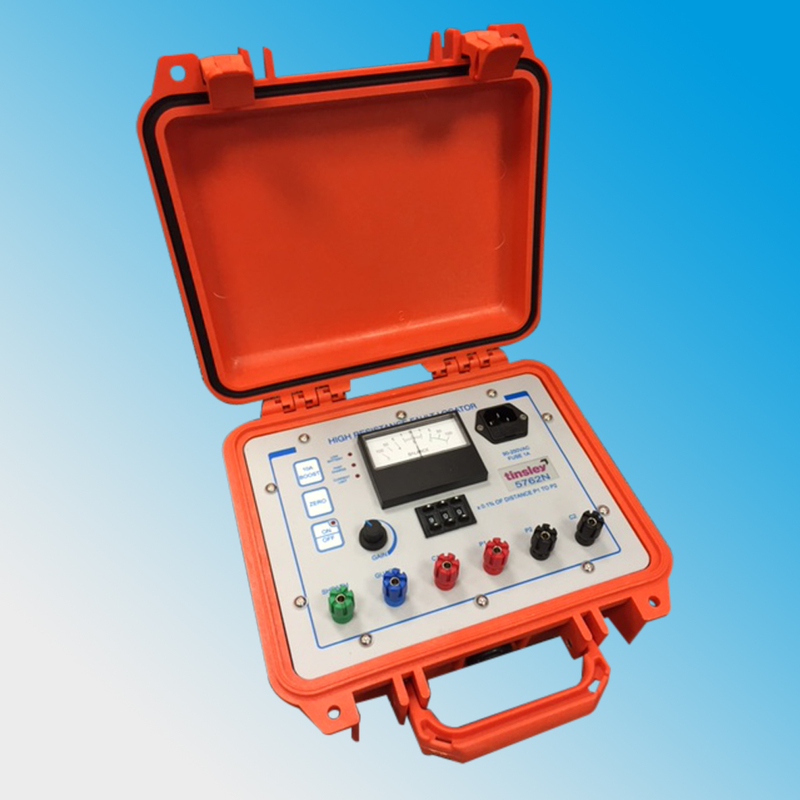 The 5762N is a portable cable fault locator for determining the position of a single shorting fault between two conductors, or between one conductor and the cable sheath or ground. The instrument can be powered from a mains electricity supply or from the internal battery which is recharged when the instrument is connected to the mains. The 5762N is equally suitable for use in the factory, to find faults in stock cable, or in the field to locate faults in an installed system. The fault is located by manually adjusting a potentiometer to find the null point as indicated on a front panel meter. The instrument uses a bridge circuit with the two sections of the faulty conductor (either side of the fault) acting as one arm of the bridge and the internal pushbutton potentiometer forming the other. The potentiometer is adjusted until the null is found, at which point the distance to fault can be read from the instrument as a percentage of cable length. A high input-resistance differential amplifier circuit is used to drive the detector allowing faults of up to 200MW to be accurately located. A maximum potential of 6V (limited to 1A, or 10A if 10A BOOST button is held) is applied across the bridge circuit and therefore the cable under test. The 5762N is housed in a rugged highly luminous case manufactured from a high impact copolymer and featuring an internal metal sub-frame for added strength. When closed, the case is rated to IP67.